Why Is There A Need To Sleep Train? 1. Don’t put the tot in the same bedroom as his siblings. 2. Add shades to the room to darken the space. 3. Give your toddler a security object. 4. Create a series of bedtime activities and do the same routine every day. 5. Don’t nurse your 15-month-old child right before he goes to sleep. Eventually, his sleeping and waking hours slowly adjusted to fit mine. Hurray! And now, he sleeps at 8 PM and wakes up around 7 AM. But if you’re in the same shoes as I was months ago, you may want to consider helping him with his bedtime. 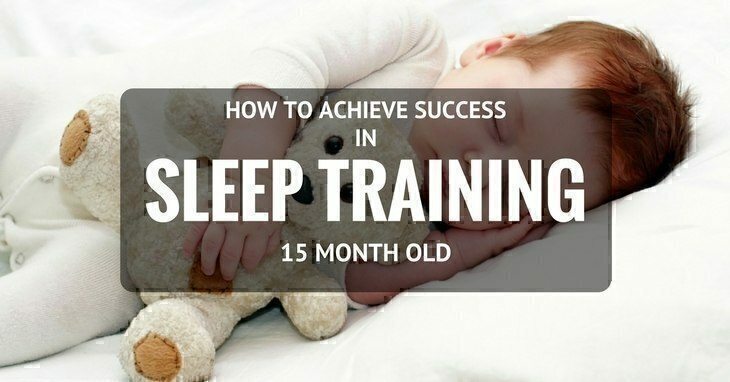 So now, let’s talk about sleep training 15 month old tots. Weird Facts On The 5 Most Common Ages (3-21) In Sleep Regression: Should You Worry? Unless your baby is super sleepy and exhausted, bedtimes can be a nightmare for some parents – some cuddling and dancing here, nursing and lullabies there, and pretty much anything you can do to soothe them and lull them to sleep. Worst case scenario, there would be waking up and wailing in the middle of the night, OR even a little sound might awaken them. With sleep training, you can establish a sleep routine and thus make it easier for both you and your wee one to hit the sack with ease and soundly at that. In a nutshell, you are just teaching your little one to fall asleep on his own. 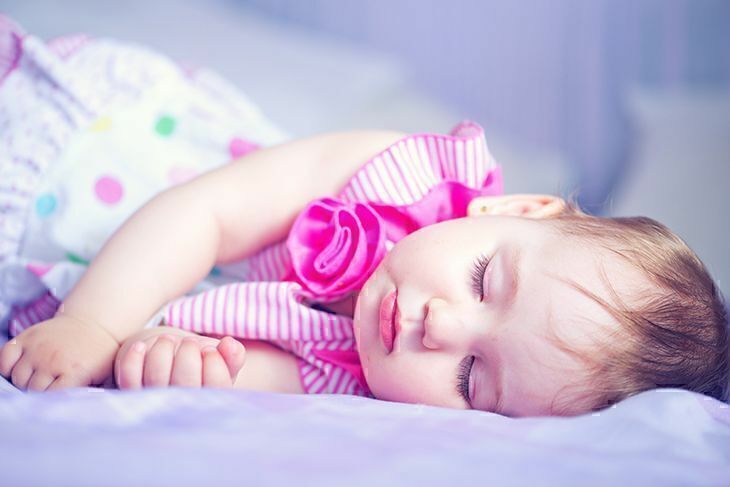 At 15 months, the baby needs a tot﻿al of 13 hours of sleep, and that includes one nap for about 1-3 hours. Keep this in mind: it’s never too early or too late to sleep train. Also, this is just the first step towards establishing healthy sleeping habits. The thing is, sleep deprivation in infants may lead to feeding troubles, obesity and behavior problems. Think about it; he might wake up when your other kid is busy with something (school or play) or vice versa. There are so many downsides to this like t﻿h﻿ey have different bedtimes, and there’s always the likelihood of developing sibling rivalry. Even the opening and closing of the door might jar him awake from dreamland. And if you’re thinking of putting them to bed at the same time, chances are, they’d only end up playing with each other. 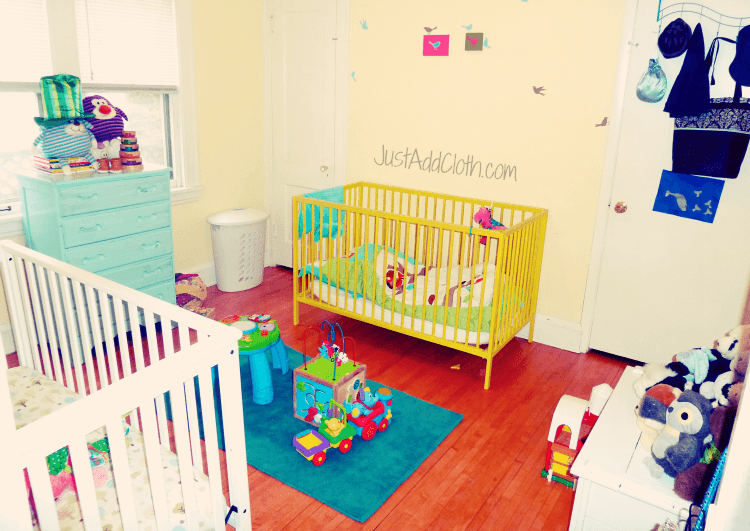 Then again, this is only temporary – you can give him an entire bedroom just for the time when you’re training him. After that, they can go back to sharing. And if it works, one advantage to room-sharing is a stronger bond between the siblings no matter their age gap. It fosters a better relationship between the two. This trick can work for adults too. The fact is, your body’s internal clock has been tuned to work in harmony with the cycle of day and night which is why normally you should be awake in the morning and asleep at night. In line with this, light and darkness can affect sleep because they serve as cues whether it’s time for your body to get some shut-eye. Bright light makes it harder to sleep because it helps inhibit melatonin secretion which is a hormone that’s responsible for falling asleep. Its level should increase in the evening. So if it’s time for bed, you can start by dimming the lights in the room and then using a nightlight when he’s already asleep to avoid any disturbance. 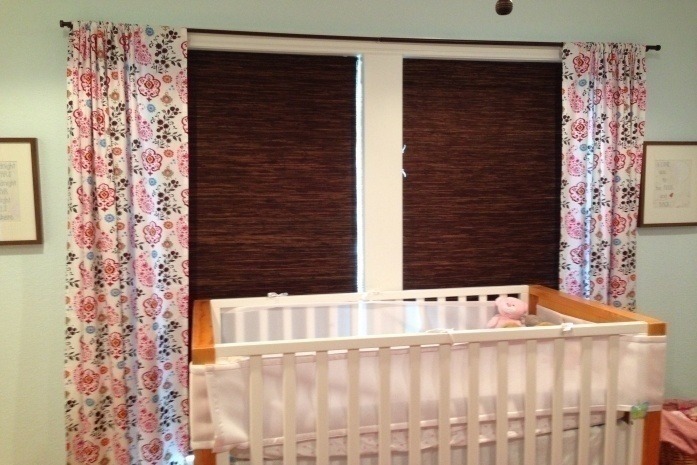 Darkening blinds, curtains, and shades help keep the baby in sleep mode. These little ones crave comfort, and since they were born, they found it by having you beside them at all times. More often than not, babies use this to ease their separation anxiety. It doesn’t always have to be a stuffed animal or t﻿﻿o﻿﻿y. Anything soft will do – like his old swaddle blanket or clean towel. But don’t worry about this ‘attachment’ because it doesn’t mean you haven’t met his emotional needs. On the contrary, it reflects the strong relationship between you and your child. It’s a r﻿﻿﻿eflection of healthy development and on the plus side, can help you with your sleep training. It’s a win-win situation for you. As much as possible, choose an object without any small parts since these can be choking hazards. Consistency is the key. It's a lot like telling him that it’s almost time for bed, in a not-so-obvious way. First off, you need to let off steam. With their seemingly endless energy, you can start the bedtime routine by dancing or stacking blocks. Then you can read him books, or play his favorite music (don’t put it on repeat, play it just once), give him a gentle massage or a quick soak in the tub. Then brush his teeth, change his nappies and put him in his pajamas. Yes, it can be as simple as that. Playing peek-a-boo, chatting about your day (remember how talking can do wonders for his development) and of course kissing him goodnight after can work too. You can do anything as long as it’s not overly stimulating. It should be soothing and something that would help him wind down. It’s a common misconception for parents that babies can sleep more soundly if they’re full and satisfied. This concept isn’t entirely wrong because they can find comfort in feeding. BUT you should estimate a 20-minute gap between feeding and bedtime. The thing is, you wouldn’t want him associate sleep with food. It won’t be beneficial for him in the long run because it might lead to poor sleeping habits which in turn can result in deprivation and so on. You can include nursing as part of your bedtime routine but again, mind the time gap. If they get used to relying on feeding to go back to sleep, they might end up waking several times at night to feed again which might pose a problem when sleep training. All of these steps look good and easy in theory, right? And if there’s anything I learned about motherhood and any training that involves my baby, it’s that there will be bumps in the road (plenty of them!). Most likely, you’d experience crying and some resistance. After all, babies can be a bit bossy at times. I’m telling you now; it won’t be like a walk in the park and at one point, you’d be on the verge of giving up. One of the struggles will be to throw all the steps I’ve mentioned and just stick to what you’ve been doing all along. Well, you're not doing sleep training for the sole purpose of giving you more hours for your beauty rest. As I said earlier, it’s also about cultivating healthy sleeping habits in your baby. Yes, it will be challenging, but I promise, once you’ve successfully done it, it will be worth it. Share with us your sleep training experience, the struggles you encountered and how you solved them.